Many people start a website traffic campaign with little knowledge and this is the reason they end up being disappointed when things don’t work out as they expected. If you want to be successful in running a website traffic campaign, you need to have the right tools to do so and learn how to plan in buying the website visitors. In this post, we will give you all the information to make things work for your website and business. The first thing you need to do is coming up with your campaign goal and this will entail the traffic you want to get. Some of the goals you will come up with will be making use of Ad sense which will help you earn money by having adverts on your website. You should generate leads to have people sign up or do something on your page, and can lead to sales or subscription of services. Another thing can be working on how you should improve your Alexa ranking. 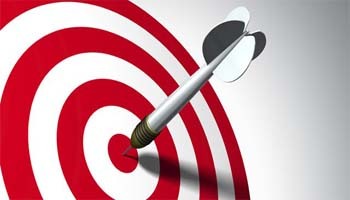 Each of the goals we have highlighted above is different and will require its own kind of audience. From the services we offer, our task is to generate targeted traffic and it will be up to you to turn these visitors into clients. The other thing should be to choose the appropriate traffic type. The right traffic will come from the goals or type of page you have. You need to choose the traffic you need for your website by choosing the traffic niche for your website. When we get you geo targeted traffic, we make use of IP databases in determining what region the user IP is from. Another step that will get you the right traffic from our services is knowing how to set up your traffic campaign.